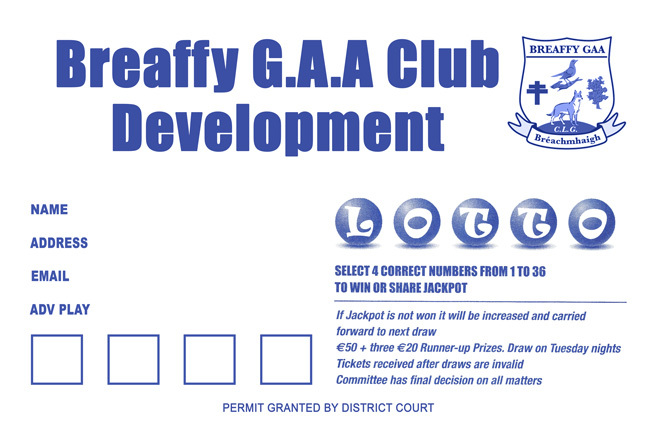 You can now play the Breaffy GAA Lotto online! Simply select your four numbers between 1-36 to be in with a chance of scooping the jackpot. If there is no jackpot winner, the jackpot is increased and carried forward to the following week’s draw. Numbers can be selected on the lotto tickets below. You can also choose from single or multi-play options which allow you to enter your numbers into a selected number of future draws. 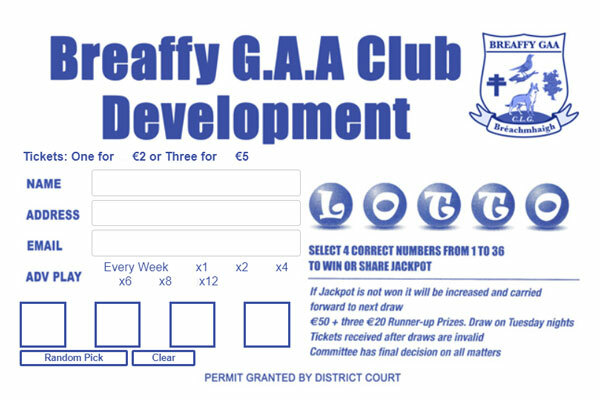 Breaffy GAA Lotto is available online in conjunction with Lotto Raiser.